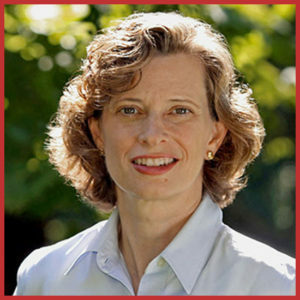 Michelle Nunn has always required extra pages for her passport; if your father was the head of the Senate Armed Services Committee, it is highly likely that your interest in global affairs would have been nurtured all your life, as well. As an undergraduate at the University of Virginia, Michelle spent three (!) semesters abroad studying at Oxford, in India and aboard the SS Semester at Sea. In her late 20s, she traveled to South Africa, Northern Ireland and the Middle East – as a Kellogg Fellow – to research issues of social justice and faith. During her twenty years at the helm of Hands On Network/Points of Light Foundation, Michelle transformed a small group of volunteers in Atlanta into the nation’s largest volunteer network that now coordinates 250,000 service projects in 30 countries. Today, Points of Light volunteers contribute 30 million hours of service annually valued at approximately $635M. After an unsuccessful run for US Senate, Michelle assumed the CEO positon at CARE in 2015 to once again focus on global issues. In her first year alone she travelled to Somalia, Kenya, Jordan, Turkey, Ethiopia, Sri Lanka, Niger, Malawi and Ecuador, getting a running start on visiting each of the 94 countries where CARE addresses extreme poverty and humanitarian issues. Michelle is evolving CARE’s footprint through smart, innovative programs and advocacy projects to improve the greatest number of lives possible. Her goal is to accelerate the successes CARE achieves and exponentially expand its impact. For example, in 1991, CARE launched its Village Savings & Loan Association program with approximately 100 women in Niger. 25 years later, more than five million people, mainly women, have joined the program. Building on that success, CARE is stepping up its efforts to engage more men in the savings groups, as well. Michelle and her team are developing mechanisms where sustainable programs like this one can be replicated quickly in multiple markets. Michelle’s innovations at CARE include an accelerator that deploys private sector methodologies to scale effective programs through public or public/private partnerships. She is piloting an encore career Entrepreneur in Residence (EIR) program with Joe Martin, a former state senator from Georgia, as the inaugural EIR conducting strategic planning in Sri Lanka and Ethiopia. Not surprisingly considering her first career, Michelle broke from CARE’s 70-year history of relying almost exclusively on paid staff and has created both a volunteer and an internship program. One of the first fundraisers she launched was Walk In Her Shoes, an experiential program that engages volunteers to walk in solidarity with women and girls in developing countries – who often walk miles every day to meet basic needs. The flagship walk in Atlanta this past fall attracted 2,500 participants. A national walk will take place March 8-14, 2016. Michelle aims to recruit one million people to CARE Action, an advocacy group whose efforts helped pass the Global Food Security Act, giving millions of people better access to food around the world. When not solving issues of inequity and hunger, Michelle decamps to the outdoors where she can be found hiking, rafting or kayaking with her husband Ron Martin and their two children, Vinsen and Elizabeth. She is an avid reader and has worked hard to instill the love of both nature and reading in her children. Looking many years ahead to a future retirement, Michelle said she would love to go on a Senior’s Semester at Sea. If there is not one by then, she is just the person to put it together. My mother was living in Paris in the 60s when she met my father. I believe the name Michelle reflects her love of everything French. I believe I am now officially too old for the Olympics – although perhaps there is still hope for me in the shooting category. So, I now focus on doing the best I can do for the most people. This question stressed me out. I wouldn’t want to change anything for fear of losing the good things that I’m surrounded by. If you couldn’t live in America, where would you establish your home? Vancouver, Canada or San Miguel, Mexico. Guiding CARE to continue in its tradition of innovation and scaled impact. Eating a lot of chocolate ice cream. One of my children or my parents.